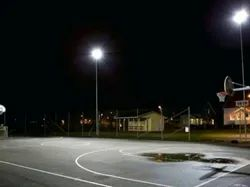 Our range of products include lokozo 800w led flood light, foot ball court lighting and basket ball court lighting. From HID to LED, Lokozo continues to push Flood Lighting to new heights. 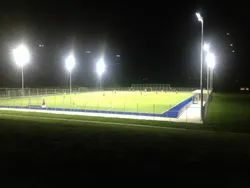 Recognized for the highest quality and reliability in Sports lighting and area lighting applications, Lokozo offers a wide selection of styles to meet the lighting needs of different outdoor sports ground such as Cricket, Football, Tennis, Volleyball and so on. 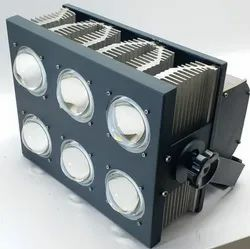 CANIS FLOOD LIGHT is an extremely flexible and versatile LED solution that ensure an excellent quality of light, targeted where is required, at the same time allows to decrease the hot spot and improve the light distribution onto different position for the playing field. Lighting for football needs illumination to allow for fast pace, low trajectory passes in all directions across the principal playing area. Due to the importance of the goalkeeper ,some back lighting from a corner location is recommended. Side lighting systems are convenient and appropriate. Lighting system is complicated but a very important factor. The quantity of light is expressed as an average lux level . General guidelines recommend lower levels of recreational play, medium levels for club standard and high levels for international or professional grade . Looking for Sports Flood Light ?